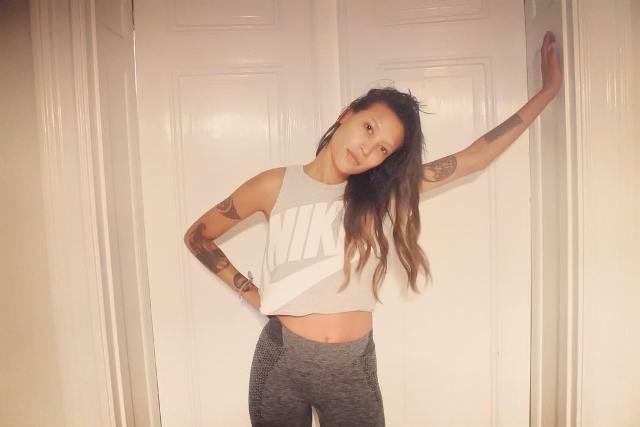 Aino Jawo is a Sweden born, 31 years old DJ whose popular hit include “I Love It.” She along with Caroline Hjelt are popularly known as Icona Pop. She loves getting herself tatted. Check out her tattoos as you will surely get inspired by her body inks. 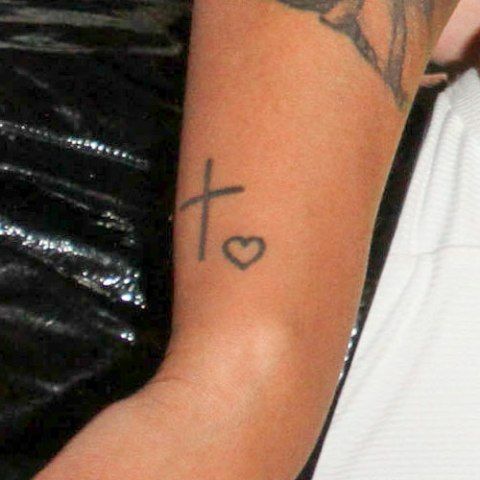 There exist a Christ cross tattoo and an outline of a heart on the side of her right wrist. Christ cross is a religious symbol and it seems that she has faith in God. The back side of her left calf is tattooed with a red rose along with 3 green leaves. Being tatted with a red rose holds significant meaning as it is a symbol of love, beauty, braveness and sacrifice. The right elbow of the Aino Jawo is tattooed with a portrait of a woman and her child in shaded black colour. The upper right arm of the Aino is inked with a mask and a tribal design in black ink. Aino Jawo’s inner side of the right arm is tattooed with an animal silhouette which is a dark shape of an animal that is visible in restricted light against a brighter background. Just below her animal tattoo, there is an Origami-like shape and an outline of a triangle. The left upper arm of Aino Jawo is inscribed with a circular styled tattoo and the front side of her left forearm is inked with some interesting design in a rectangular box. The left shoulder of Aino is inked with an outline of a face. The left side of the sketch is covered with blossoming flowers.